Are you looking for a creative way to showcase an event, product or brand? 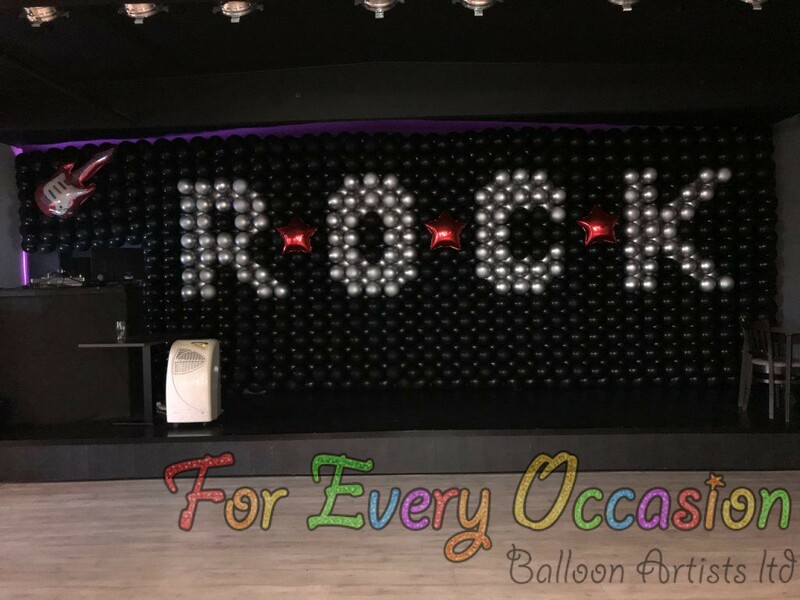 Take look at another couple of balloon walls we created this weekend. 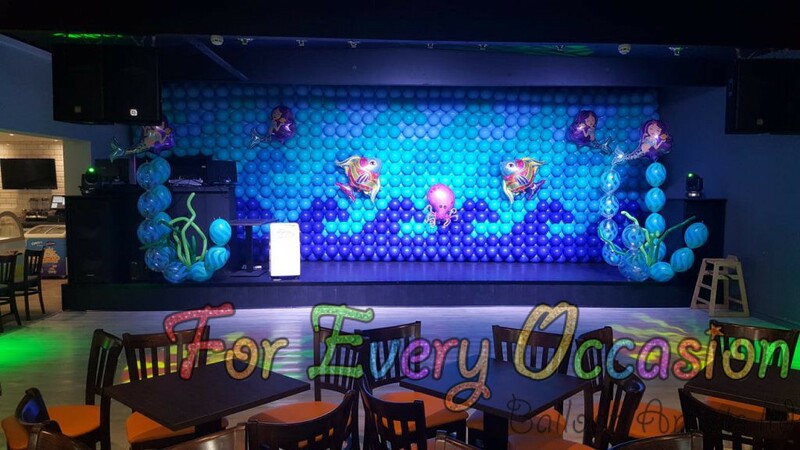 The first was for an under the sea themed event. 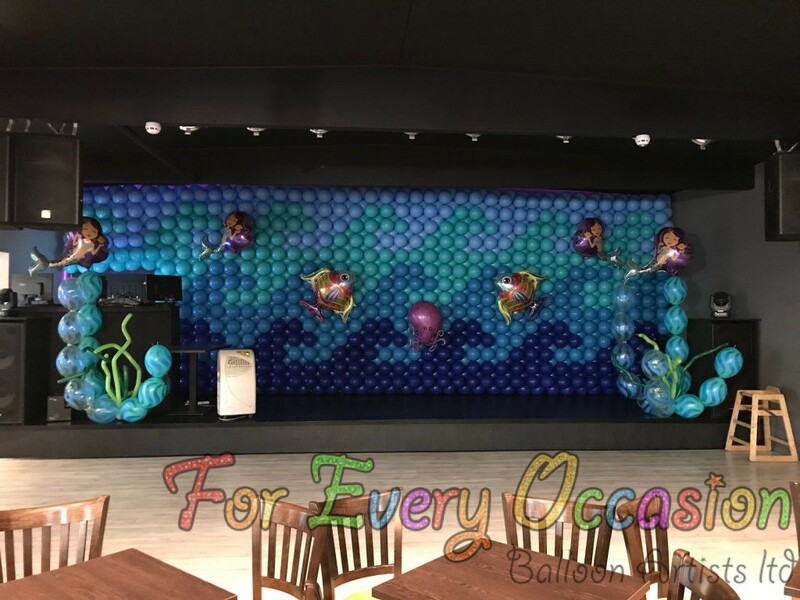 We created a wave effect wall and then embellished it with under the sea themed foil balloons. Once you add stage lighting look at the difference. 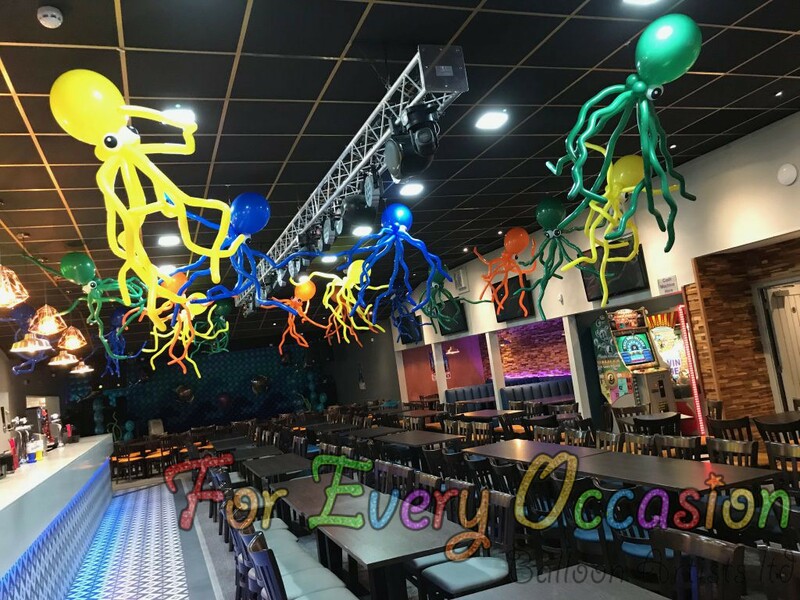 For this event we also hung giant Octopi from the ceiling. The same venue then had another function the following day for a Rock Festival. 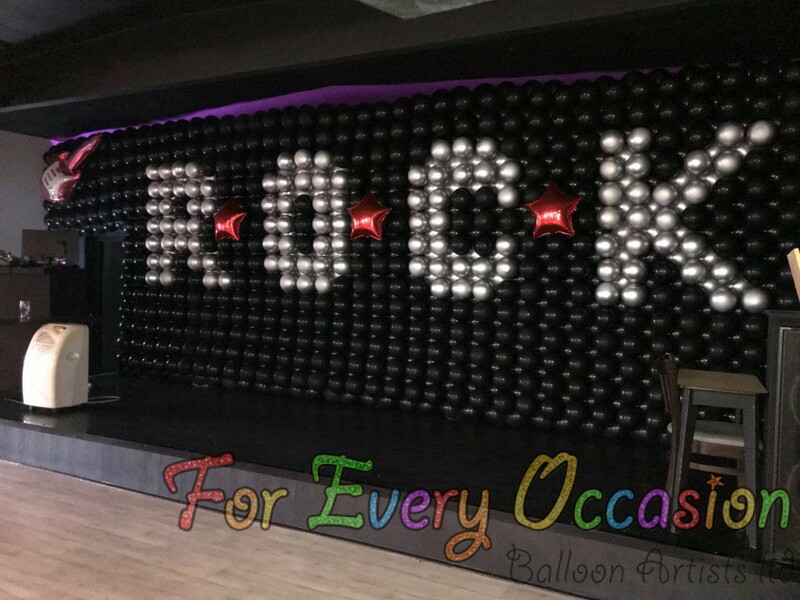 For this event we went with a simple black balloon wall with the Qualatex Silver Chrome balloons to create the word Rock. For more information on how we can create spectacular focal points and room decor contact us on 01745 334299.